Find more balance in your structure. If you have back pain, neck pain, shoulder pain, knee pain, or foot pain, you might need local bodywork for that issue. But you might also need overall balancing of your structure in order to take the stress off the painful area. At Hands for Health, Ginny’s Structural Balancing techniques can lead to more harmony in your structure, and in your life. The balance and alignment of the bony structure depends on several factors: The condition of the muscles and fascia holding the bones together, the electromagnetic lines of force in the body, and the health of the bones themselves. Ginny Hofrichter has learned much from chiropractors, and has long focused on how the muscles affect bones. 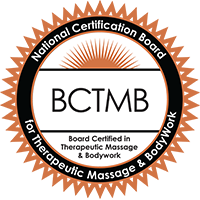 Through her varied massage techniques, she can ease the stress that tight muscles put on your bony structure. Added to these techniques, the energy work of Polarity Therapy allows Ginny to restore harmony in the electromagnetic lines of force of your body: for example, between the hips and the shoulders, between the occiput and the sacrum, or in the spine itself. When the energy flows are balanced, the structure usually follows suit—leading to relief from pain. Craniosacral Therapy, too, plays a huge role in structural alignment. When stress is taken off the bones of the craniosacral system and off the membranes around the central nervous system, the whole system is healthier and more stable. As you can see, there are aspects of massage therapy, Polarity Therapy, and Craniosacral Therapy that contribute to full body alignment. Over the years, Ginny has added to her repertoire yet another system of Structural Balancing, based on acupressure, which not only straightens the bony structure, but also “wakes up” the energy of the bones so they can support deep healing. All of these techniques are Ginny’s extremely effective tools for encouraging your structure to balance itself without the force of a chiropractic thrust. Call Ginny for your first appointment: 860-560-0368.